Research shows that a good quality Omega-3 like our Mega EPA/DHA promote fat oxidation, improve insulin sensitivity and improve calorie partitioning – meaning, how your body uses calories. There are many health benefits of omega-3 fatty acids. Research shows strong evidence that the omega-3s EPA and DHA can boost heart health and lower triglycerides. And there are studies showing that omega-3 fatty acids may help with other conditions -- rheumatoid arthritis, depression, and many more. Just what are omega-3 fatty acids exactly? How much do you need? And what do all those abbreviations -- EPA, DHA, and ALA -- really mean? Here's a rundown of the essential omega-3 facts you need to know. 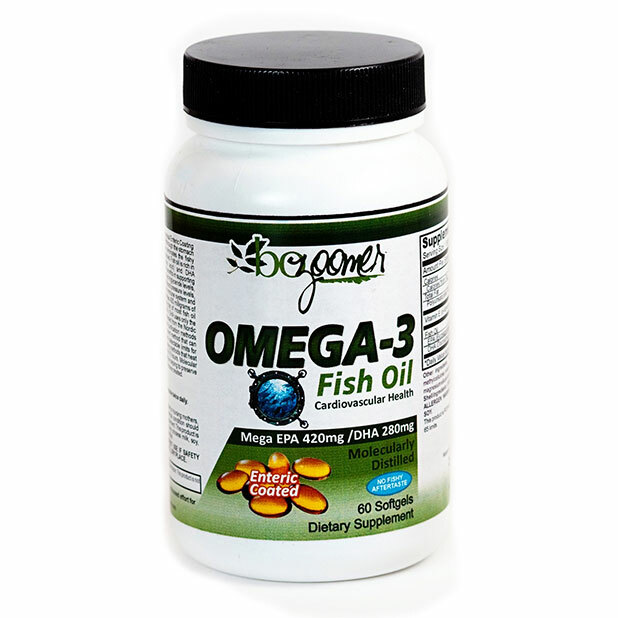 Omega-3 fatty acids are considered essential fatty acids. We need them for our bodies to work normally. Because essential fatty acids (ALA,DHA,EPA) are not made in the body or are inefficiently converted from ALA to EPA and DHA, we need to get them from our diet . Omega-3s have a number of health benefits. Omega-3s are thought to play an important role in reducing inflammation throughout the body -- in the blood vessels, the joints, and elsewhere. However, omega-3 supplements (EPA/DHA) may cause the blood to thin and cause excess bleeding, particularly in people taking anticoagulant drugs. There are several types of omega-3 fatty acids. Two crucial ones -- EPA and DHA -- are primarily found in certain fish. Plants like flax contain ALA, an omega-3 fatty acid that is partially converted into DHA and EPA in the body. Algae oil often provides only DHA. Experts say that DHA and EPA -- from fish and fish oil -- have better established health benefits than ALA. DHA and EPA are found together only in fatty fish and algae. DHA can also be found on its own in algae, while flaxseed and plant sources of omega-3s provide ALA -- a precursor to EPA and DHA, and a source of energy. Blood fat [triglycerides]. According to a number of studies, fish oil supplements can also cut elevated triglyceride levels. Cardiovascular health. Omega-3 fatty acids appear to lower the overall risk of death from heart disease. Rheumatoid arthritis. A number of studies have found that fish oil supplements [EPA+DHA] significantly reduced stiffness and joint pain. Omega-3 supplements also seem to boost the effectiveness of anti-inflammatory drugs. Depression. Researchers have found that cultures that eat foods with high levels of omega-3s have lower levels of depression. Prenatal health. Studies show that EPA and DHA supplementation during pregnancy boost the health of pregnant women and the development of their children. Asthma. Evidence suggests that a diet high in omega 3s reduces inflammation, a key component in asthma. ADHD. Some studies show that fish oil can reduce the symptoms of ADHD in some children and improve their cognitive function. Alzheimer's disease and dementia. The evidence is preliminary, but some research suggests that omega-3s may help protect against Alzheimer's disease and dementia. While foods containing omega-3 fatty acids have health benefits, some -- like oils and nuts – some may be high in calories. Because the fat in walnuts turns out to be omega-3 fatty acids. That's an especially important form of fat if you're type 2 diabetic or have any blood sugar issues. In fact, research proved that frequent walnut eaters live longer and avoid heart disease. And another study reveals the secret behind this walnut-linked longevity: Healthy arteries. Eating just 14 walnuts a day improved the function of cells that line blood vessels. When these cells are healthy, they're like an ironclad police line protecting your heart. They control inflammation, they prevent blood clots, and they help control your blood pressure. Enteric Coated - a process which allows the capsules to pass undissolved through the stomach into the intestinal tract where they breakdown. This eliminates the fishy aftertaste that is sometimes an issue with uncoated capsules. Each soft gelatin capsule provides 400 milligrams of EPA and 300 milligrams of DHA—more than double that of most fish oil products on the market! Our Enteric Coated Mega EPA / DHA uses only the finest fish oil available made from coldwater fish harvested from the Nordic Sea. The oil is then processed using one of the best purification methods available, Molecular Distillation, which is the only current method that can remove heavy metals, PCB’s and other toxins to below detectable limits for human consumption. Compared to most other processing methods that heat the oil to temperatures of up to 250 degrees Celsius for 6 hours, Molecular Distillation takes only 45 seconds at the same temperature helping to preserve the quality of the fish oil and guarantees that no Trans Fats are created. Our Omega-3 Fish Oil may also increase thermogenesia-meaning, you will naturally burn more calories per day and create an anti-catabolic effect (meaning it prevents muscle breakdown). They may also have an anti-lipogenic effect-meaning it reduces fat storage and serves as an anti-inflammatory. Choose the right fish. While eating more fatty fish is a good idea, some are more likely to have higher levels of mercury, PCBs, or other toxins. These include wild swordfish, tilefish, and shark. Farm-raised fish of any type may also have higher levels of contaminants. Children and pregnant women should avoid these fish entirely. Everyone else should eat no more than 7 ounces of these fish a week. Smaller fish like wild trout and wild salmon are safer. We use Nordic Sea cold water fish which is best. Consider eating more free-range poultry and beef. Free-range animals have much higher levels of omega-3s than typical, grain-fed animals. Consider a supplement like fish oil capsules. Fish oil contains both EPA and DHA. Talk to your doctor before using a supplement. Before you start using any supplement, you should always talk it over with your doctor. He or she may have specific recommendations -- or warnings -- depending on your health and the other medicines you take.